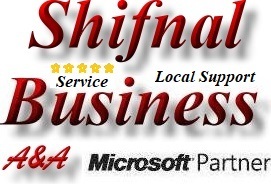 Shifnal office computer repair, out of hours Shifnal business computer maintenance and support. 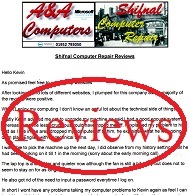 A&A Computer Repair are pleased to offer ongoing Shifnal office computer support plans - ongoing Shifnal business computer service plans. Eg; �80 per month plan. Covers up to 8 Shifnal Office Computers per site running Windows operating systems (any combination of PCs and Laptops but not including servers). We guarantee a 24-7 service with issue attendance within 4 working hours of fault report in Shifnal (8am to 8pm; �35 call out fee + parts applies). 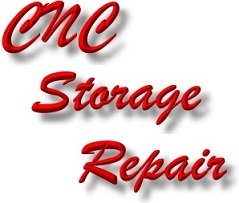 If out of hours in Shifnal (8pm to 8am); �50 call out fee + parts applies. 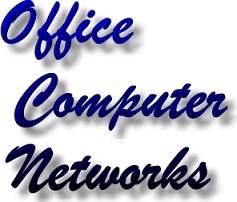 A&A appreciate that it is often far more convenient to install business upgrades etc "outside Office Hours". We therefore offer this facility in Shifnal at a cost of only �35 per day. Covered computers should be running high quality anti virus software such as Norton or Kaspersky. 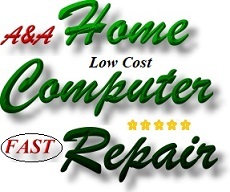 It should be noted that free anti virus software is usually inadequate represents a false economy. Many Telford companies use Barclays Online Banking. 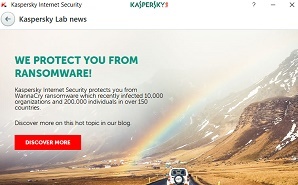 Please note that at the time of writing; Barclays offer free Kaspersky Internet Security licenses to Barclays Online Banking customers. eg; we can clone clients current hard disk drives to SSD and install from only �30 per system (does not include SSD). However, we will advise on which SSD to acquire and recommend a supplier (with whome we will have no relationship).